Most of our country is located in the temperate zone of the northern hemisphere of the Earth. In summer, the air circulation is high and the haze is reduced. So there isn’t a lot of haze. Isn’t it time to buy an air purifier?We give you a solution here. The ancestor of the air purifier was said to have originated during World War II. At that time, the invention of the poison gas bomb caused many casualties. So the corresponding people invented the gas mask, saying that this is the prototype of the air purifier. It has only become an air purifier for home use. The purifier is not just for preventing haze, but also has more features. For example, in addition to indoor pollution, formaldehyde, sterilization, in addition to pollen and other more features. Although in most people’s minds, air purifiers are only used to remove fog and haze, but in Europe and the United States, there are not many smog every year, and the air purifier’s penetration rate has reached 20%, compared with domestic ones. More than 10 times higher, what is the reason? Now summer comes, it is the season of bacterial reproduction. Many people will produce rhinitis and flu if they are not careful. So I think that in the summer home needs to install an air purifier. Indeed, in the summer, haze, both severe and duration, is much lower than winter, but other types of indoor pollution will be much higher than winter. Another very important reason is indoor pollution, with the temperature rising in summer. The volatilization of indoor pollutants has also greatly increased. According to the statistics of the health department, the concentration of formaldehyde and benzene released by furniture increases by 0.15 to 0.37 times for each increase in humidity. Moreover, the release period of indoor pollution is very long. For example, the release of pollutants in furniture will take 15 years. 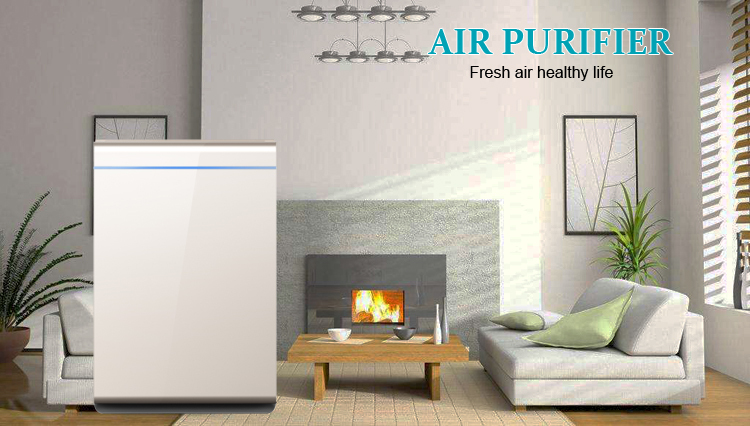 Air purifiers also have a big advantage, is to prevent “air conditioning disease”. The weather in summer is hot and how many people keep themselves in the air-conditioned room 24 hours a day. Although the blowing air conditioner is cool, but the humidity is great, it will blow all day and night, and the body will produce all kinds of discomfort. And air does not have the function of air purification. Some people want to blow air conditioners and want to smoke. This is very troublesome. At this time, installing an air purifier at home can solve many problems. It can be said that it is a big baby at home, not only to avoid the humidity generated by the air conditioner, but also to remove secondhand smoke. For everyone to solve a lot of problems. Of course, it should be noted that whether it is an air purifier or an air conditioner, although it is very comfortable to stay indoors, it is an air conditioner and a purifier. However, it is always closed, and more ventilation is needed. Because only a lot of ventilation can maintain the air circulation, it is more conducive to good health. Therefore, it is very necessary to prepare an air purifier in the summer regardless of the humidity of the air conditioner or the use of secondhand smoke. Here I bring you an Olansi OLS-K07 air purifier, which can effectively solve indoor air pollution problems and ensure your healthy breathing. 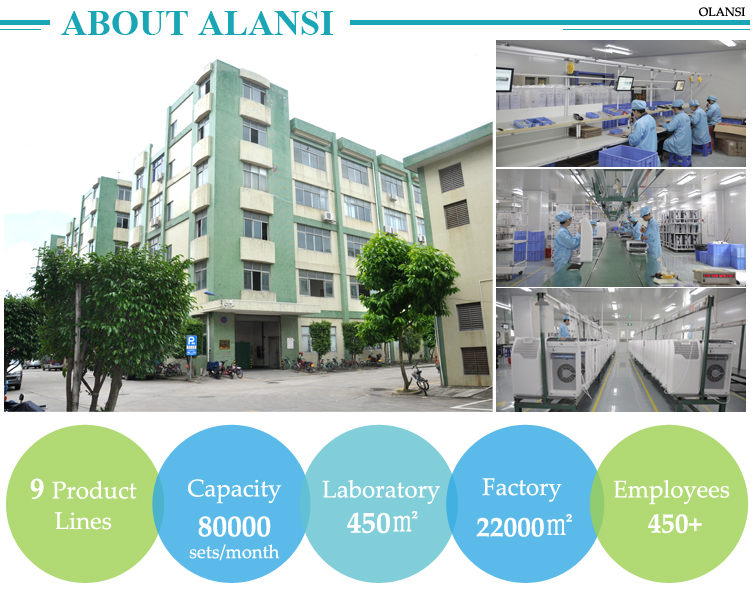 Olansi air purifier high-end air purifier has a CADR value of 850m3/h, and it can effectively filter particle contaminants with different particle sizes in the air with a barrel filter. According to official data, this purifier purifies 90m2 living room. Only 17 minutes at a time, super performance! In addition, the formaldehyde CADR value also reached 350m3/h, which has a good purification effect on the gaseous pollutants produced by the decoration. The air purifier’s filter uses a special shape that can bring a larger contact area for better purification. The primary effect layer is composed of a pre-filter, which can block 360° filtering of large dust particles such as dust and hair. The internal HEPA antimicrobial peptide layer mainly targets air pollen, dust mites, fibers and other particulates and bacteria and other harmful substances. Purify PM2.5 and other smaller particles to eliminate secondary pollution. So this air purifiers are reliable to put in your house.